Managing multiple brands at the same time requires excellent leadership and balancing skills. Bio-pharmaceutical companies today are developing and learning how to juggle multiple brands, without harming the market traction of previous products. Benchmark partners in a Best Practices, LLC study noted that they successfully use more than a dozen different strategies to control or minimize product cannibalization. While there are many benefits to developing a new brand, including expanding market share and improved reputation with physicians and specialists, there are also some negative impacts. The main negative impact of producing a new brand by study participants was confusion among internal and external stakeholders. Based on the importance of strategic brand management, we have developed a list of key ways to juggle & effectively manage multiple brands. 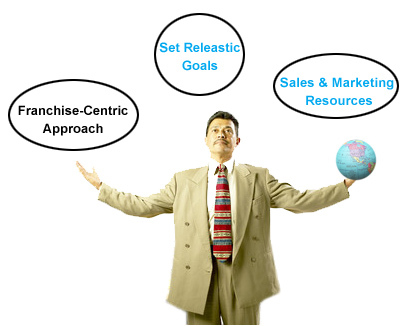 Use a Franchise-Centric approach: Managing brands as separate, independent products can be successful, but may have fewer inherent advantages as using a franchise approach. This approach allows leaders the opportunity to develop strategies that maximize the sales of all products – not just the most popular brand. Respondents also mentioned that this is an efficient approach, as this increases product offerings with a minimal increase the size of sales forces. Set Realistic Goals & Objectives for Sales & Adoption Rates: Make sure not to set over-optimistic goals for one or both products. Surveyed clients reported that the uptake usually takes more time—and more patience—than anticipated. For effective monitoring, establish performance benchmarks in advance. Provide Sufficient Sales & Marketing Resources for the New Brand: Under-funding a new brand relative to the legacy product is a common failure point for brand leaders. Don’t be resistant to change & avoid short-term thinking. One benchmarked partner offered: “The new brand requires more promotional response because it is unknown.” Finding the balance between keeping an eye on legacy products in order to not lose market share, while accurately funding the new brand is essential. Identifying key best practices from the industry can help leaders to avoid potential pitfalls and encourage the success of multiple brands. Failure to clearly differentiate/position individual products and their values can be ultimately detrimental to the success of a new brand. By aligning your strategy and maintaining communication throughout your organization, brands can sky-rocket to success.